Leave it to Austin to figure out contemporary housing design solutions that are trend-setting and inspiring. 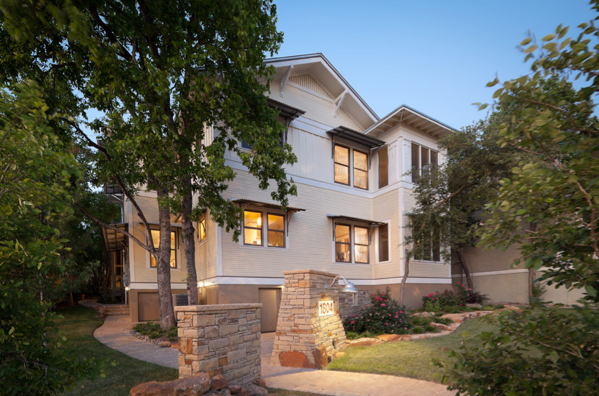 You can view uniquely designed “right-sized” homes under 2500 square feet throughout Central Austin and meet lead architects, builders and designers on the 2nd Annual Austin Smarter Spaces Tour on Saturday, September 7, 2013 from 11:00 AM – 5:00 PM. Ticket holders will explore the homes and learn about how efficiently-designed smaller footprints can lead to a more desirable lifestyle. From honest materials to an embrace of new technologies, you’ll see contemporary design with Texas flair. Also, discover how Austinites are redesigning urban spaces to efficiently manage smaller lot sizes. Barley & Pfeiffer merged two 1960s era penthouse condos into one flowing open space with a brand new mezzanine level. Newcastle Homes and Francois Levy are building appropriately sized infill in near East Austin at an affordable price point. You can see these and be able to ask questions, garner ideas and use them in your own home. HOW: Tickets are $25 in advance and can be purchased at: http://smarterspacestour.com and picked up at designated will call locations (asterisk properties above). Tickets will also be available at all properties for $30 the day of the tour. Children under 12 are free. Admission ticket includes entrance into all homes on the tour plus access to the Smarter Spaces Tour After Party and Photography Exhibition. Enjoy cocktails from Enchanted Rock Vodka & Rebecca Creek Whiskey while viewing stunning architecture photography by James Leasure taken during the Modern Home Tours events around the U.S. in 2012 and 2013. The After Party will be held from 5:00 pm – 7:30 pm at J. Clark Gallery at 1500 W. 6th St. on the day of the tour.